If you are a fan of the New York Yankees, how are you not excited today? The team came from behind to defeat the crosstown rival New York Mets last night by a score of 6-5. 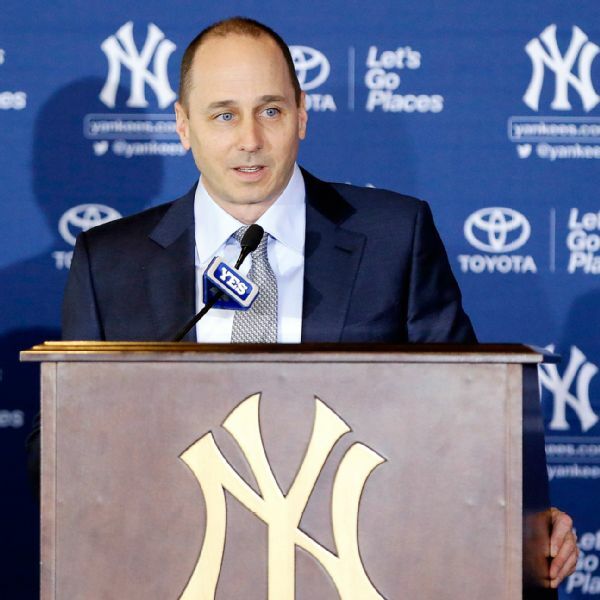 If that isn’t enough, you wake up this morning knowing that general manager Brian Cashman has, in a span of a week, taken a farm system that was average to above average depending on the source, to one that is now the envy around baseball. Yes, boys and girls perhaps the rest of the 2016 season won’t bring much joy to the fanbase. However, this organization is now nicely set up for next year and beyond, assuming at least some of the prospects in the talent-rich system pan out. To those who insisted that Cashman and company were foolish in trading off four veterans to retool and rebuild, I say embrace the change. This team is .500 and has played that way for the majority of the season. There was no magic potion that was going to turn them into this powerhouse contender. If you get swept by the Tampa Bay Rays (no offense, Rays’ fans) in a series late in the season and look really bad doing it, you are probably not ready to survive the heat of a pennant race. Still, even with the trades, this isn’t a terrible team. The return of Tyler Clippard gives Dellin Betances a legitimate setup man in front of him. While the current relievers obviously can’t match the departed Andrew Miller and Aroldis Chapman, they will have nights like last night, when they tossed 4 1/3 scoreless innings. No Carlos Beltran makes a below average unit worse but that just leaves more opportunities for Ben Gamel and whoever else they decide to bring up in four weeks. Think about all of the talent the Yankees acquired. Then pair them up with guys they have drafted and signed on their own, players like Aaron Judge, Gary Sanchez, Jorge Mateo and James Kaprielian. These guys are can’t miss-type prospects. Clint Frazier and Gleyber Torres are now ahead of them in the organizational rankings. Frazier is already at AAA and figures to be in New York in 2017, while the same can be said of Judge. Sanchez has already seen Major League time while Mateo, Torres and Kaprielian are still a ways away. If you are old enough to remember, isn’t this how the most recent dynasty was built in the early 1990’s? You know, the “Core Four” that everyone seems to wax nostalgic about these days? Surely, those early-to mid-90’s teams had their share of veterans like Don Mattingly and Paul O’Neill, the latter acquired in a trade prior to the 1992 season. They also supplemented their youth brigade with the signing of players such as Wade Boggs and Jimmy Key and taking the final steps by trading for a David Cone or a John Wetteland. But it was the “Core Four” along with Bernie Williams that sustained the Yankees for such a long time. That’s what prospects do. They contribute by becoming a player for you or for someone else. In the offseason, if they so desire, the Yanks can attempt to package some of these high-end prospects for Chris Sale or a player of his caliber. Even if that type of deal is made, their farm system will still have some big-time players ready in the wings. The only people who should be disappointed are the players still on the Yankees this year. Guys like Mark Teixeira and Alex Rodriguez who may not be here next year and who will most likely not get a shot at the playoffs in their final year in Pinstripes. As for the others that were traded, think of it as an opportunity for them. The only thing that has eluded Beltran is a World Series title. He gets that shot in Texas; he wasn’t going to, barring some miracle, in New York. As a fan, did you have any special affinity for Chapman? Ivan Nova gets a new life in Pittsburgh. The one that hurts is Miller because he was popular in the clubhouse and he is under contract for the next two seasons. However, that was potentially the biggest return out of the four trades. It’s one that had to be made in order for the Yankees to take the next step forward. It’s all the more reason why as you go about your day today, you feel great as a fan of the New York Yankees.